Google’s flagship service may be their search engine and they may have multiple services with over 1 billion active users, but it’s their dedication to the internet as a whole that has allowed them to keep their momentum going. If the company had stopped at Google Search (and even AdWords, which is now known as Google Ads), they wouldn’t be as influential as a company as they are today. A big example of this can be seen with their emphasis on the mobile space and especially the AMP project (love it or hate it). Now, the company is working on a feature currently known as Portals that attempts to enable seamless navigations between sites or pages. We’ve all heard the stat that says over half of mobile users will abandon a website if it takes over 3 seconds to load. The data is out there and it’s proven to be true as even Amazon says a page load slowdown of just one second (than their current average) could cost the company $1.6 billion in sales each year. This is why Google’s AMP project makes sense. Even if people dislike the way Google implemented it, it is in their best interest to keep you on the web and using their services. Enter a new project currently known as Portals, which has a nice explanation over on Kenji Baheux’s GitHub page. Kenji Baheux is a Product Manager at Google who is currently working on both Chrome and the web platform as a whole. Their new project is nothing more than a proposal right now, but its end goal is to allow for seamless navigations between sites or pages. 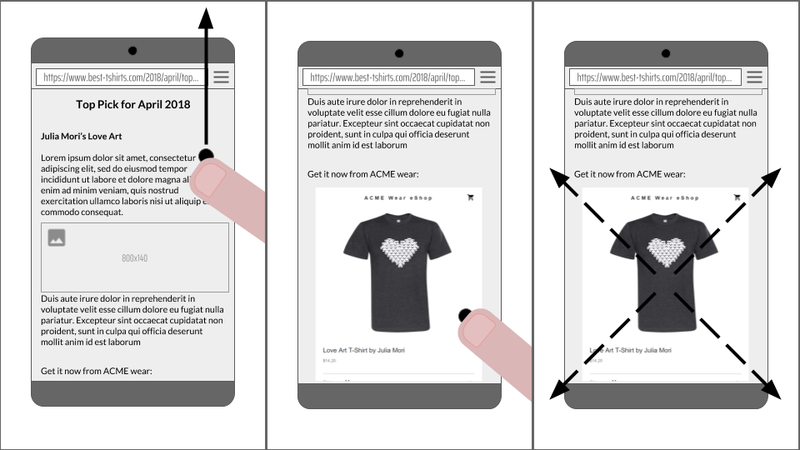 As we dive into what this means and how it will work, the goal is to enable a page to show another page as an inset and perform a seamless transition between an inset state and a navigated state. If this sounds confusing to you, we understand and there are a couple of images that explain what is going on here. As the images above show, the example has you scrolling through a website that publishes content on t-shirts. While you’re scrolling through a new post, you end up seeing an embedded image of a new shirt. If the Portal is set up properly, the user could initiate a gesture that will take them from this blog to the website where you can buy the product. 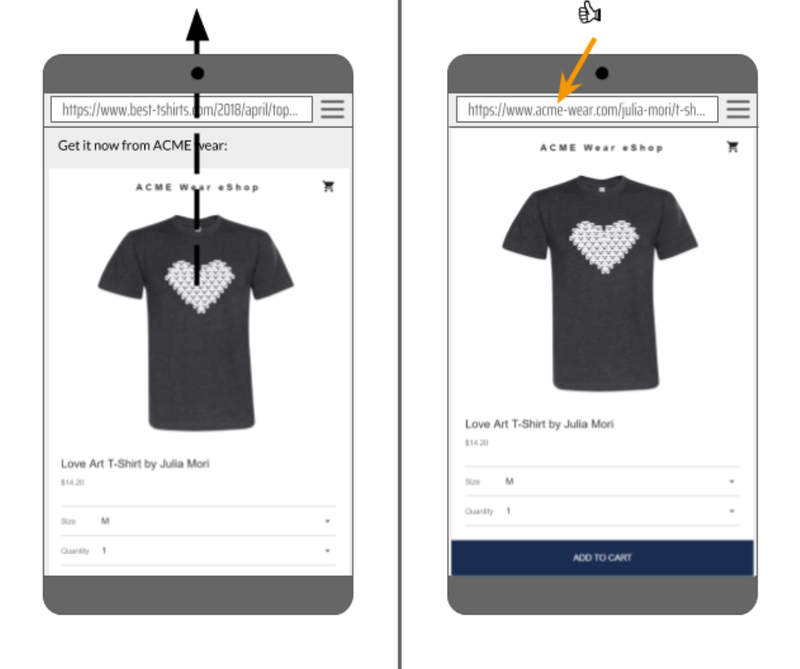 Again, the goal of this example is to provide a seamless, faster, and smoother transition from the blog to the retailer which improves the UX for the reader of this blog. The goal of Portals came from a desire to improve how we navigate across multiple websites. 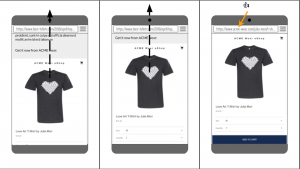 Google’s AMP has done a lot to improve the mobile web and it has even done what it can to enable a lot of these properties that are going into this new project at Google. However, the company knows that AMP itself has its own constraints like keeping the users inside the AMP’s cache origin and hopes that Portals can help to address some of these concerns. If completed and released to the public, the system will be provided as an API for developers to integrate into their websites. So far, we can see that this new project is actively being worked on thanks to this commit found on the Chromium Gerrit. Google even has an entry in their bug tracker system for the feature for those who want to follow along with development. The company has published a PDF that shares some of the technical sides of the project. 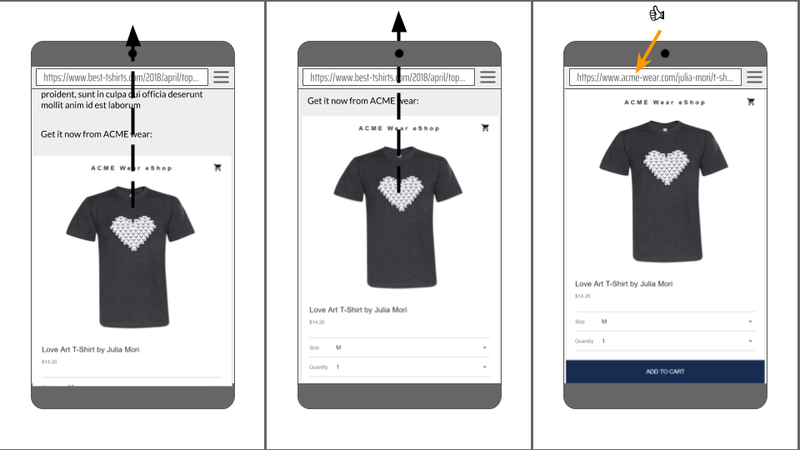 This includes creating, navigating, and activating a portal, while also giving some example code to show how the web browser is handling things. The project is still in its very early stages and may not even make it out the door. Kenji Baheux talks about some alternatives to their current implementation of Portals just in case their initial idea doesn’t pan out. This could result in the project providing an API for promoting an iframe to become the top document. However, this has been experimented with in the past by some other Chromium engineers and it was eventually removed as it turned into a source of security issues. They also have an idea of having a fullscreen iframe appear as if it were the main document. Whether it works out in its current state, the engineers having to implement one of these alternate methods, or the project being abandoned altogether. 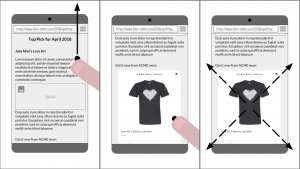 It does give us a good look at what some Google engineers are currently working on to improve the overall user experience of the mobile web.